Japanese and Korean sunblocks are definitely my to-go-to sun care brand for years! I don't mind using ANY brand for the body but I am very particular with my face sunscreen! Shiseido to Biore. I can't believe I was able to find another one that works really well! What's OUR requirements with face sunscreens? Non-greasy. Lightweight-feel. No White Cast on flash photos. Works with makeup. WORKS in sun protection. I found it at Esfolio Green Herb Sun Cream! And best of all? I got more benefits using this product! This actually relaxes my skin on every application and minimize redness. A whitish cream (as for any sunblock with high SPF), it is not watery yet it isn't too hard to blend! I personally dislike product that leaves a white cast during application because you know you'll have a hard time blending your makeup after. I like to apply an appropriate amount using my clean fingertips. 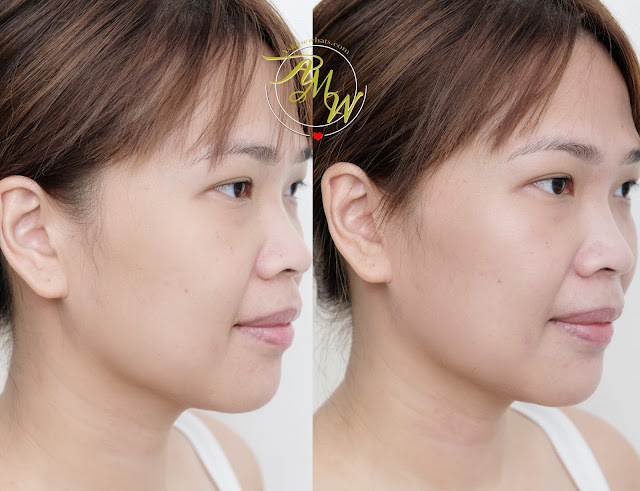 In less than a minute, the product blends easily on my bare skin! Just to prove how hydrating this product is, I used this without any moisturizer underneath and my skin feels hydrated all day! Even underneath makeup! The good thing is, though hydrating, it does not feel greasy. I would call the product a cream-gel type of product because it feels as refreshing as a gel yet it has the consistency of a cream to lock-in moisture. That said, this product (I'm happy to announce) will work for ALL Skin types! You won't see any changes on my skin tone even after applying a good amount of Esfolio Green Herb Sun Cream. Now here's the best part, I usually have reddish skin after rubbing ANY product on my face. (Don't believe me? Watch out my random AMW IG Stories and you'll understand what I'm talking about). With the Esfolio Sunscreen, my skin feels smooth, silky and best of all? The product soothes my skin so no redness appears. 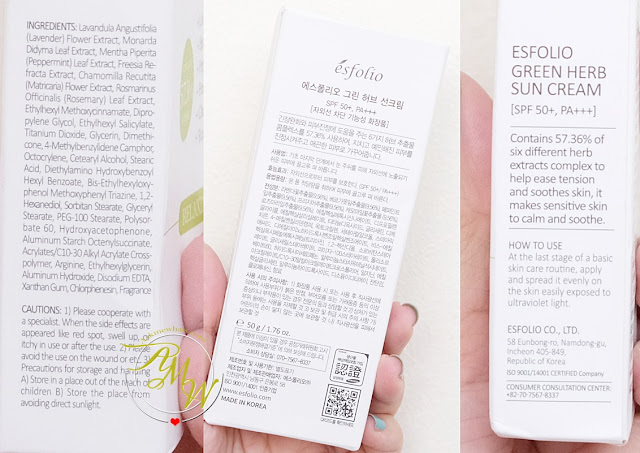 Overall, I am very happy with the Esfolio Green Herb Sun Cream Relaxing product and I can't wait to try their other variants! Please LIKE Esfolio Philippines on Facebook, follow them on Instagram. Have you found the best facial sunblock for you?